info - Pistache Design, High End Vintage Design! We are always searching for beautiful authentic design furniture and accessories. Do you have vintage design furniture for sale, you can always contact us. However, the offered items has to fit in our range and has to be in good condition. After receiving the mail we will respond as quickly as possible if the offered furniture meets our wishes. 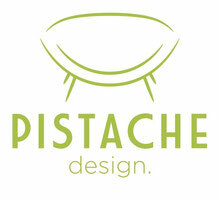 Pistache Design distinguished itself by taste, special design items, quality, and service. For questions or an appointment at our location in addition to our regular opening hours please contact us.